Classic Snow White wig with gorgeous detailing for an impressively realistic effect. 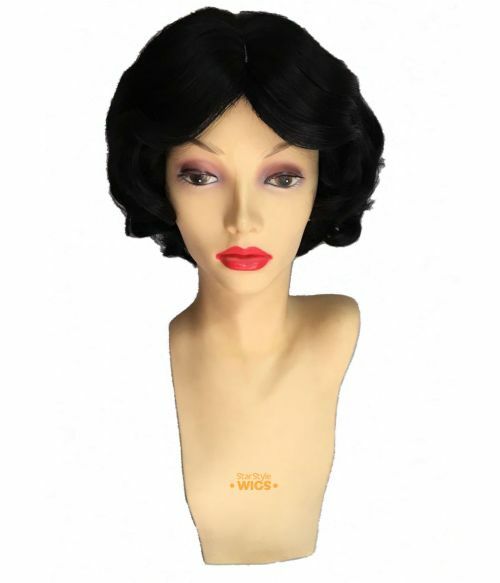 The jet black wig boasts all-over finger waves and perfectly curled ends. The centre parting line is constructed from a skin top, matching the pale skin tone of the Disney Princess. This hand sewn hair appears to be growing from the scalp along the part for superior authenticity. 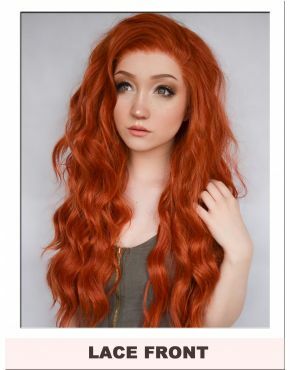 The oversized bangs sweep to each side, falling into the curl of the design beautifully and cleverly cover the edge of the wig with 2 inches of hair. The Princess Snow Wig comes boxed with presentation packaging, wig cap and speciality wig comb.